On 28 April 2012 Professor Dr Ahmad Yusuf al-Hassan Gabarin passed away. He was one of the most important historians of Islamic science and technology. Specialist of the various aspects of Islamic technology, the late A. Y. al-Hassan left a rich corpus of books and articles covering almost all aspects of the contributions made in the classical Islamic era to engineering, technology and industry. This obituary is an edited version of the text appearing on the front page of the website created and maintained by the late A. Y. Al-Hassan History of Science and Technology in Islam where the interested reader can find an extensive bibliography of his publications in history of science and technology, plus many articles and notes. Figure 1: The late Ahmad Y. al-Hassan. (Source). On 28 April 2012 Professor Dr Ahmad Yusuf al-Hassan Gabarin passed away. He was one of the most important historians of Islamic science and technology.. Specialist of the various aspects of Islamic technology, the late A. Y. al-Hassan left a rich corpus of books and articles covering almost all aspects of the contributions made in the classical Islamic era to engineering, technology and industry. Besides his work as historian of Islamic science and technology, Ahmad Yusuf al-Hassan was Professor of mechanical engineering, scholar in the history of Arabic and Islamic science and technology, former Minister of Petroleum, Electricity and Industry in Syrian governments prior to 1971, and former President of the University of Aleppo. Prof. Dr. Al-Hassan was born on June 25, 1925 in Mcherfe village in Palestine. His family migrated to Haifa where he earned the recognition of his educators, and thus won a scholarship to continue his high school education at the Arab College in Jerusalem. He then went on to study mechanical engineering at Cairo University. In 1948 he was unable to return to his homeland, and instead settled in Syria where he joined the faculty of engineering as a professor, and later became dean of the faculty after obtaining his Master's degree from Imperial College and his PhD from University College, London, England. 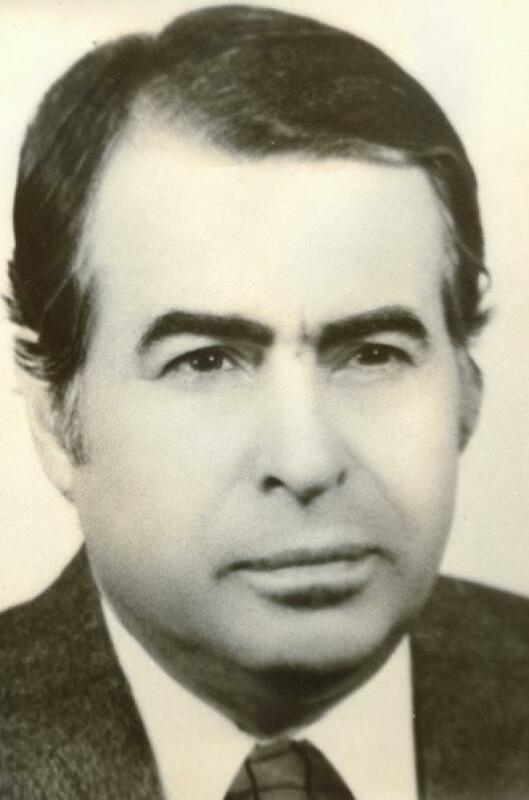 From 1968 to 1971, he served in the Syrian government as Minister of Petroleum, Electricity and Industry. From 1973 to 1978, he served as president of the University of Aleppo. In 1974, he established the Institute for the History of Arabic Science (IHAS) at the University of Aleppo which has attracted numerous scholars to its series of international conferences and has also produced excellent historians of science, many of whom are leading scholars. In 1982, he migrated to Canada. The scientific endeavours of Professor Ahmed Y. al-Hassan earned him many awards including the "Ordre National de la Légion d'Honneur" of the French Republic. He was a distinguished author on the subject of history of science and technology and his books have been translated into many languages. He served on the advisory committee of the United Nations University, Tokyo and was a Member of the International Scientific Committee of UNESCO on The Different Aspects of Islamic Culture. He was one of the two authors of the excellent book Science and Technology in Islam (1986), with Donald R. Hill, a visiting professor at the Department of History and Philosophy of Science at University College, London, and a visiting professor at the Department of Middle East and Islamic Studies, University of Toronto. He made enormous contributions to knowledge and in particular to establishing a new history which we like to name as "tenable history of science"; a science that is balanced and fair to all cultures, especially Muslim, Chinese and Indian, as against that which only promotes European inventions. His school of thought is gaining momentum and will undoubtedly prevail. Our Foundation for Science, Technology and Civilisation (FSTC) has relied greatly on his work and has continued close collaboration with his Aleppo Institute (IHAS). We have lost a great scholar, a supporter and a guide. We send our heartfelt condolences to his family and many of his students and friends. May the Almighty embrace him with mercy and reward him. * Emeritus Professor at the University of Manchester and President of The Foundation for Science, Technology and Civilisation (FSTC), Manchester, UK.